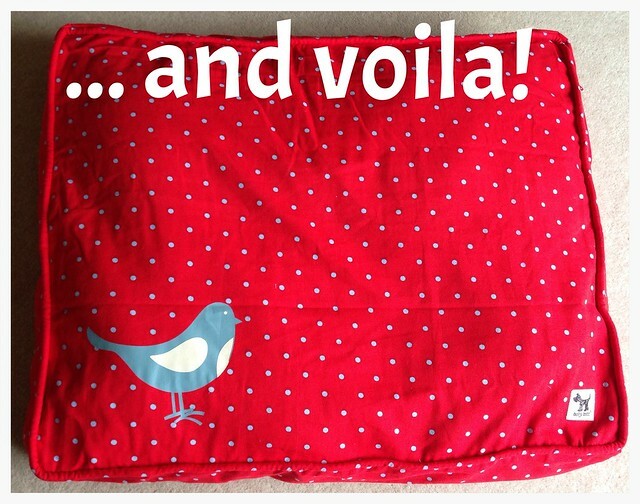 Upcycling a dog bed - the easy way! Over the last few weeks I've been trying to decide how to make an upcycled dog bed, especially after cleaning out cupboards and discovering loads of old towels, blankets and bedding we don't use, but that I didn't really want to throw away. Following an online discovery, it turned out to be much easier, and more attractive, than I had hoped. Better yet it involved no sewing*! 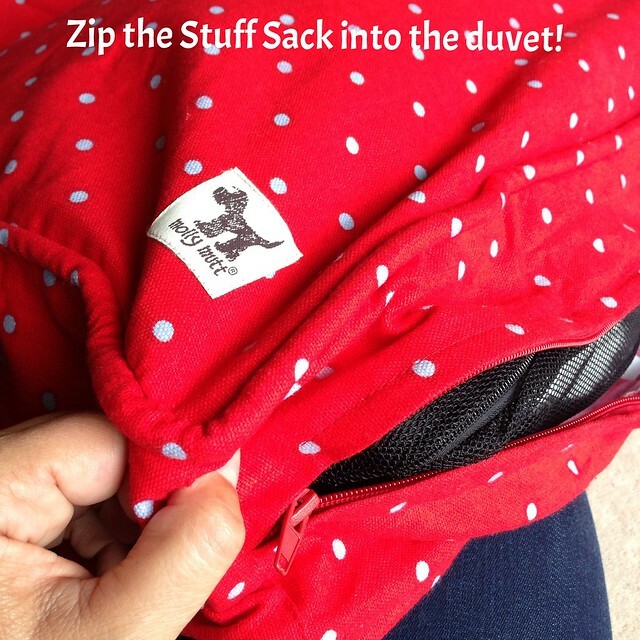 The Stuff Sack keeps the stuffing in place within the 'duvet'. I've placed a load of towels and blankets in a fairly neat pile, but the photos on the packaging suggest a more random placement - an experiment may be necessary when Archie is here, to see which is the most comfortable. And that's it! One cute dog bed which smells of our washing, can be easily taken apart when it needs cleaning/changing etc. At 22" x 27", this is the smallest of the three options and it folds down to the size of a 100g ball of DK. As it can be filled with anything, including spare pillows and blankets, it would make a great portable bed when staying away from home. I love it so much I've ordered another - in green - which will live in the Cwtch. This is the last thing on my list for Archie - I now have everything but the dog (9 sleeps!) - so I'm starting to plan my next project which is a make-over of the playroom (new flooring and sofabed, perhaps a little decorating) and a few final touches in the Cwtch. I'll keep you posted! *I considered sewing something myself but for the price (on sale at £16.99, which included both parts and postage, and advertised at $25 in the US) it was a no-brainer! What a fantastic idea. Your comparing it's size to a ball of DK made me smile, you know your audience lol. That's a brilliant idea for a dog bed. It makes it small for them to post and they don't need to supply stuffing. 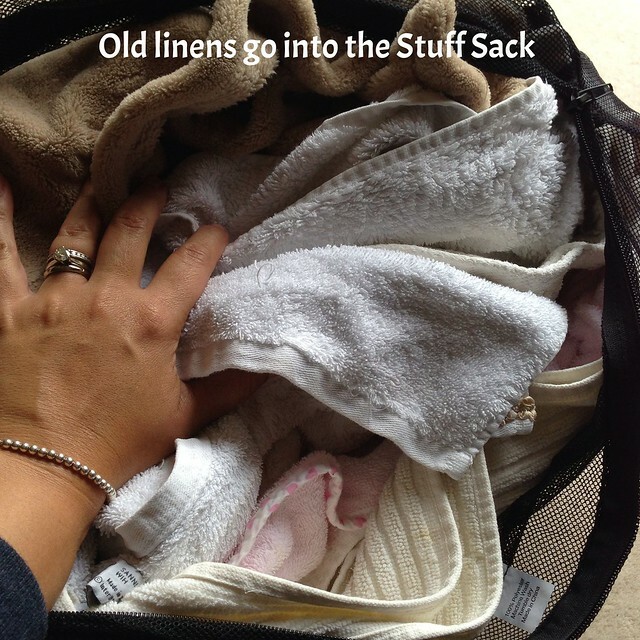 You get to use up old linens that you never get round to recycling and everyone wins! I can't wait to see your new pet. I bet you are bouncing off the walls with excitement!